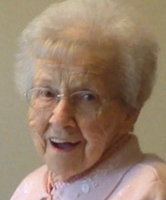 Bess M. Talmage, 95, of Lower Burrell, passed away peacefully Monday, April 8, 2019. She was born Jan. 8, 1924, in New Kensington, to the late Frederick and Dorothy Ludwig Miller. She was a member of the Holiday Park Baptist Church and formerly lived in New Kensington and Murrysville. 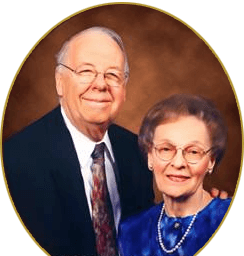 Mrs. Talmage is survived by her son, Daniel N. Talmage, and daughter, Amy S. (Kurt) Kurvach; two grandsons, David (Susan) Kurvach and Mark (Etelia) Kurvach; and two great-grandsons, Johaby and Josiah Kurvach. Besides her parents, she was preceded in death by her husband, Larry N. Talmage; and eight brothers and four sisters. Viewing will be from 2 to 4 and 6 to 8 p.m. Thursday in ROSS G. WALKER FUNERAL HOME LTD., 217 Freeport Road, New Kensington, where a funeral service will be held at 11 a.m. Friday by the Rev. Dean Ward. Private burial will be in Greenwood Memorial Park.